This stunning leather seating collection from Office Star will make a comfortable addition to your office. With contemporary edges, the chair, love seat and sofa create an aura of timeless elegance. You can group them together for a warm, inviting effect, or let each piece stand alone to fit your particular needs. 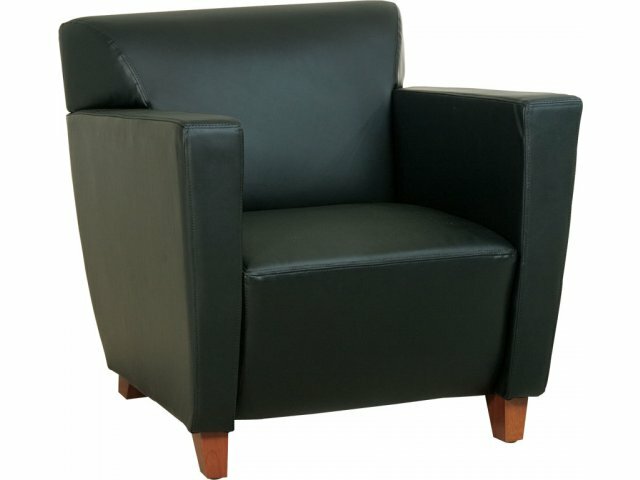 Office Star Products has been producing top-quality office furniture for close to 30 years. Their executive chairs, office chairs and reception furniture boast a winning combination of ergonomic comfort and exquisite design. 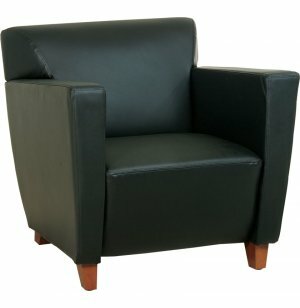 Durable, yet elegant Black leather. The matching cherry–finished, solid wood occasional tables complete this contemporary reception setting.